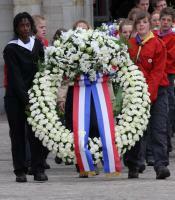 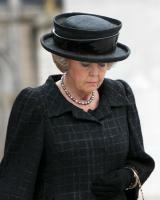 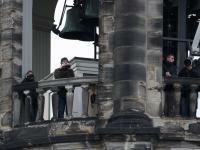 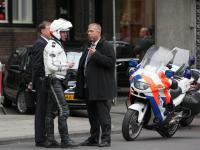 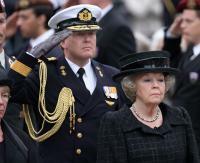 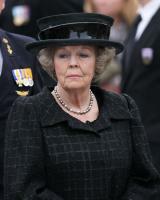 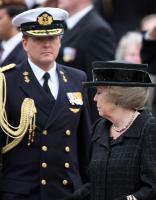 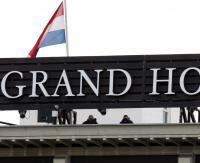 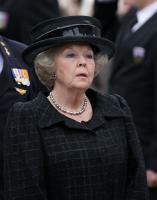 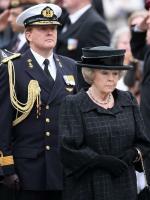 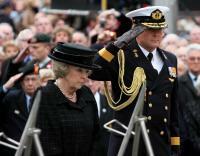 Extra security for the members of the Royal Family after the attack of 30-04-2009 in Apeldoorn. 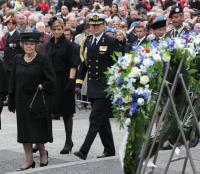 The Dutch Royal Family attended the memorial service in the Nieuwe Kerk and the wreathlaying at the monument on the Damsquare in Amsterdam. 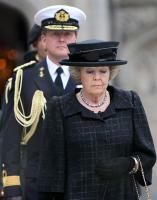 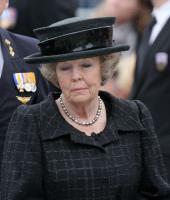 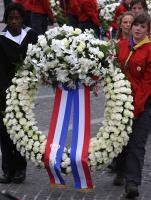 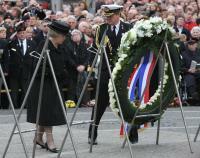 Dutch Royal Family attended the memorial service in the Nieuwe Kerk and the wreathlaying at the monument on the Damsquare in Amsterdam. 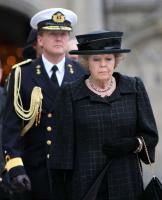 Queen Beatrix of the Netherlands, Crown Prince Willem-Alexander and Crown Princess Maxima of the Netherlands. 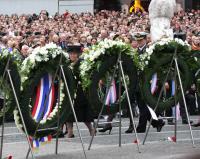 The Dutch Royal Family attended the memorial service in the Nieuwe Kerk and the wreathlaying at the monument on the Damsquare in Amsterdam.